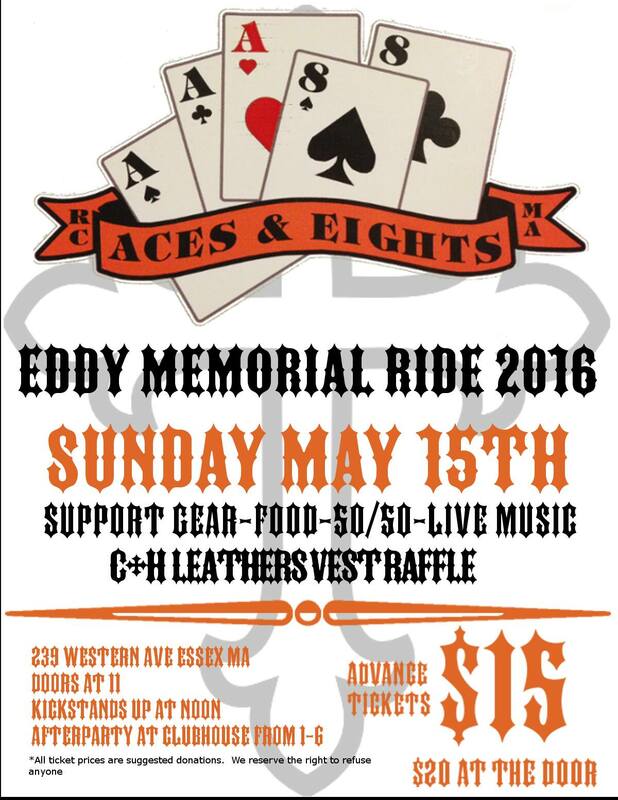 Join the Aces and Eights for the Eddy Memorial Ride 2016 leaving from 239 Western Avenue in Essex. Doors at 11am, kickstands up at noon, after party from 1pm-6pm with live music, food, raffle. Suggested donation is $15 in advance, $20 at the door.